It took three master builders two months and over 67,000 pieces of Lego to build this seven foot tall replica of Paris’ Eiffel Tower. But what’s more impressive than how Sean Kenney was able to recreate the structure’s recognizable architecture and lattice-like detailing is how his team managed to bring the model to life with a sea of micro-scale tourists. 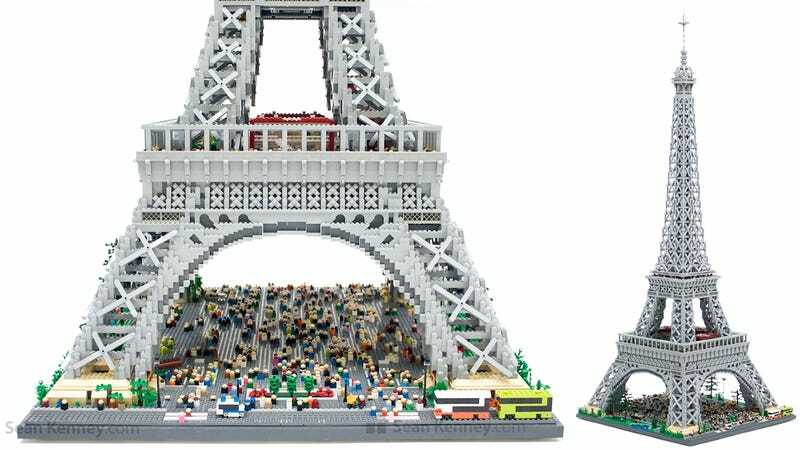 Not only do the tiny figures make this version of the Eiffel Tower feel much grander than Lego’s official set from a few years back, they also provide countless little scenes to stare at. Kenney had to use some clever tricks to realize this build, and it definitely shows off his mastery of the Lego brick. But once you’ve seen one set of criss-crossed metal beams, you’ve seen them all.